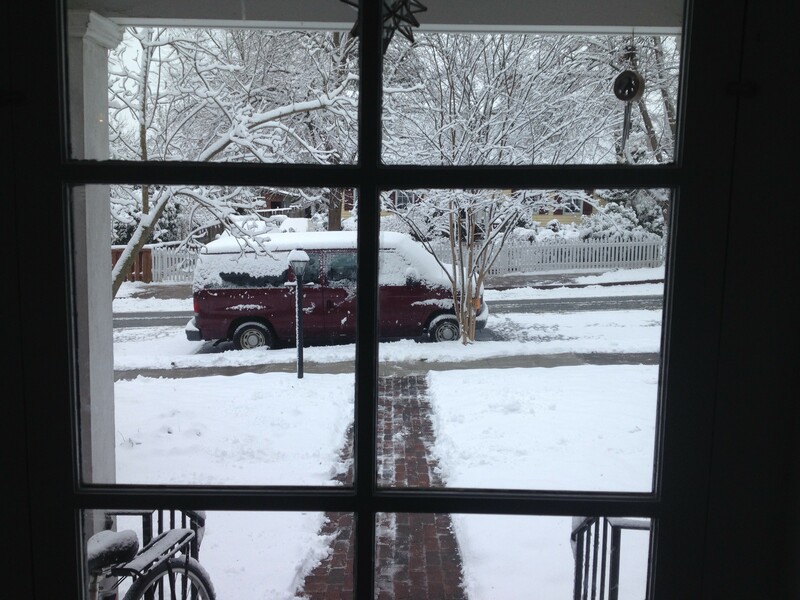 After briefly flirting with the status of two-car family, an unfortunate encounter with a new 16-year-old driver in Fairfax this weekend has knocked us back down to being a one-car family again. 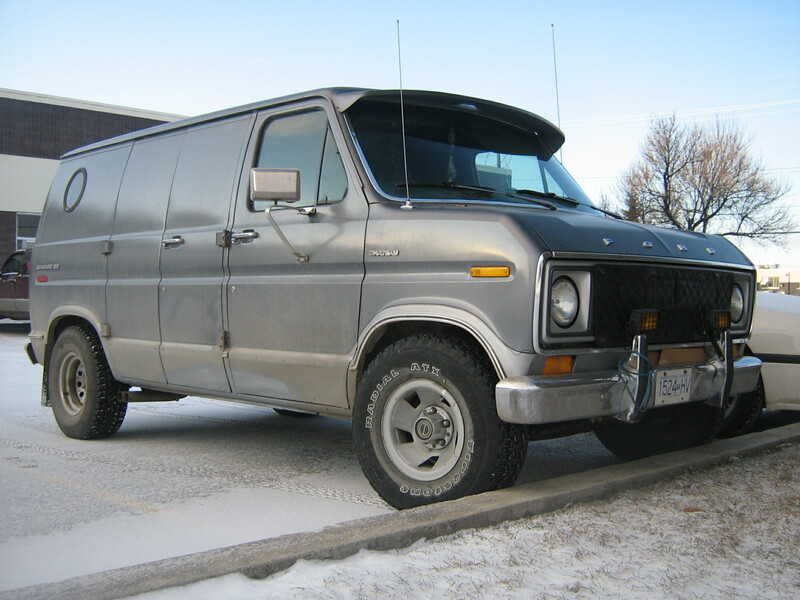 I thought I would take advantage of this otherwise somewhat traumatic occasion to pen a brief paean to our one remaining functioning vehicle, our indefatigable red Ford Econoline. We inherited it from my father, who used it for his cabinetmaking business. But now that he has retired, and we’re engaged in renovating multiple crumbling old buildings, it has come to live with us. Actually, that’s not totally right. On the tailgate, it’s labeled “E-150,” part of an unfortunate and no doubt consultant-driven exercise in brand rationalization circa 2002. 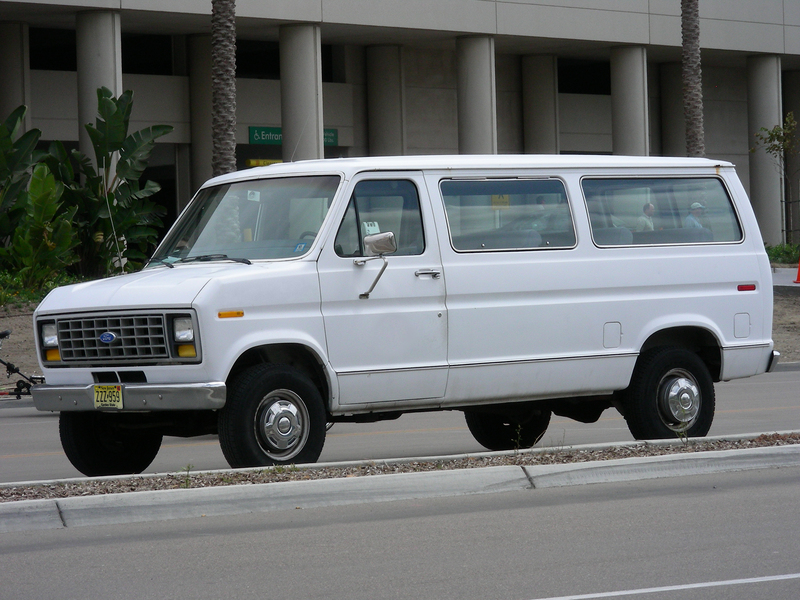 But even though this 21st-century beast has been renamed in pursuit of Ford’s marketing strategy, I will insist on referring to it as the Econoline, because that name is so redolent of the midcentury moment in which this van was born. 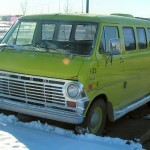 The original Econoline appeared in 1961 as a somewhat different creature. 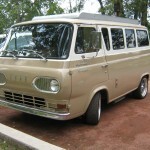 Originally based on a passenger car, the Ford Falcon, it was laid out similarly to the Volkswagen Van, and was intended to compete with it in the market. That meant that it was smaller and lighter duty, and had the engine beneath the vehicle, with the driver sitting all the way at its flat front. 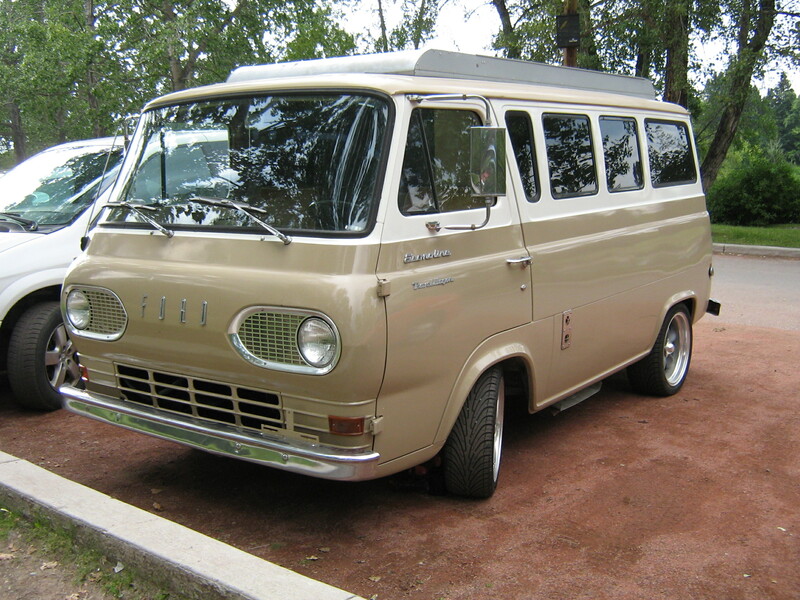 This original designed didn’t last long, however, and by 1967 it had been replaced by a new Econoline with a more conventional layout, which was closely related to the pickup trucks that Ford was then producing, instead of its passenger cars. 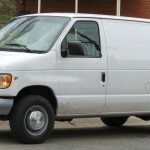 This new design made the van larger, more powerful, and more truckish. 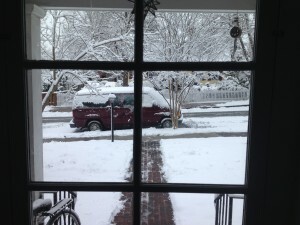 And then … not much. 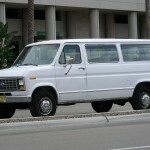 The Econoline has only had two significant redesigns since 1967, one in 1975 and one in 1992. Of course, the model has received cosmetic and mechanical updates more frequently, but our 21st-century example has essentially the same layout and structure as its midcentury ancestor. As you can see from the images above (all courtesy Wikipedia, and all clickable if you want to see them bigger), it’s been a slow and gradual evolution. Which means that even though it’s a relatively new vehicle, it feels like a piece of America’s automotive history. It has the virtues and vices of the arrogant golden age of American automobile manufacturing. It drinks gasoline like a Death Valley ultramarathoner, and the steering wheel bears only the vaguest relationship to the direction in which it’s pointed. But it’s comfortable, surprisingly light on its feet, and holds just endless quantities of stuff. 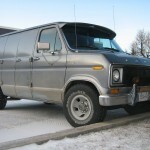 As Brian put it, it’s like having a big square storage unit, only it’s on wheels. And because its technology is so ancient and basic, it’s dead reliable and cheap to maintain. In all these ways, it truly is a child of the 1960s, far more than any New Beetle or New Mini poseur could hope to be. 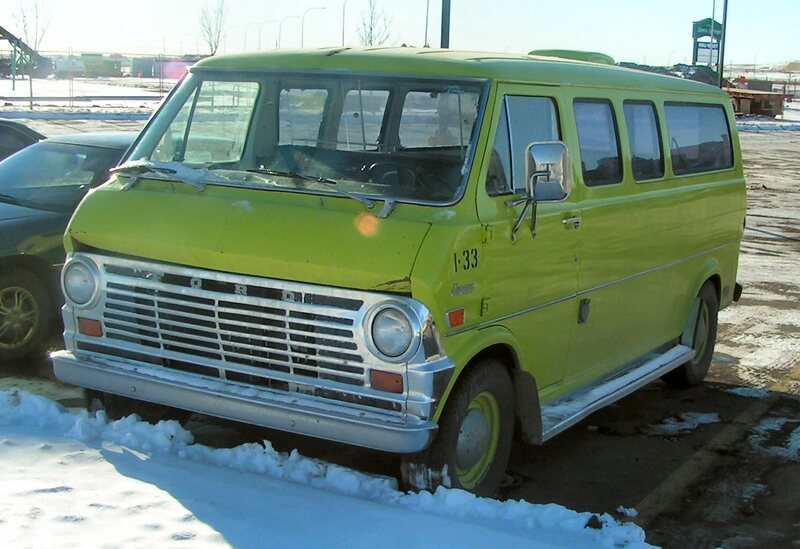 And that’s why I insist on using the name Econoline rather than the generic E-150, because it better captures the midcentury swagger and optimism that is baked into its rather neanderthal automotive DNA. I rarely drive to work, although now if I have to, I will be parking this beast in the Faculty/Staff lot, where it will stick out like a sore thumb among all the Priuses and Subarus. But I would like to make the argument here and now that despite its obvious irresponsibility, it is the most historian-appropriate modern vehicle that I could be driving right now.